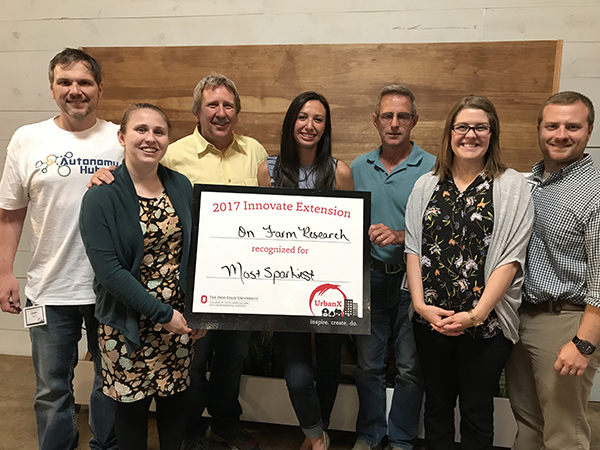 We’d like to extend a huge thank you and congratulations to everyone who participated in last week’s Innovate Extension UrbanX event! 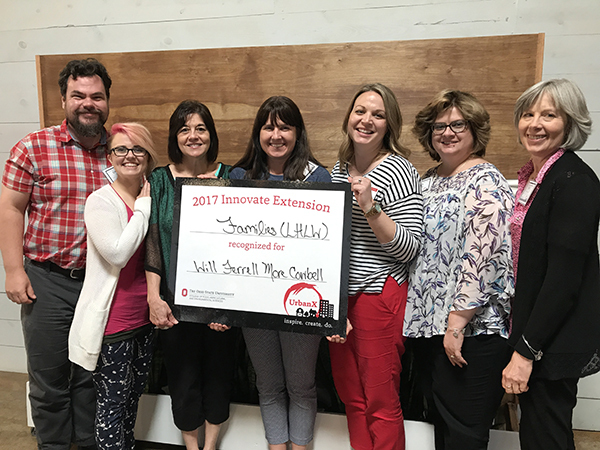 We are thrilled to have spent an entire day dedicated to innovation and creativity in Extension. Your ideas were inspiring! 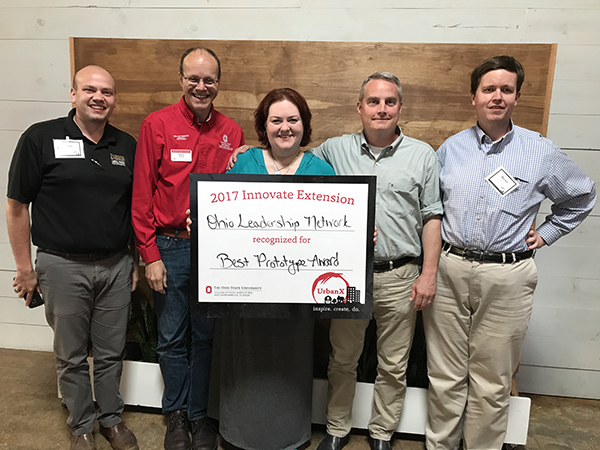 After an energizing keynote workshop led by ImprovEdge, each team spent nearly 5 hours during the hackathon developing a unique and innovative idea to address a challenge or opportunity related to urban – rural interdependence both internal or external to Extension. 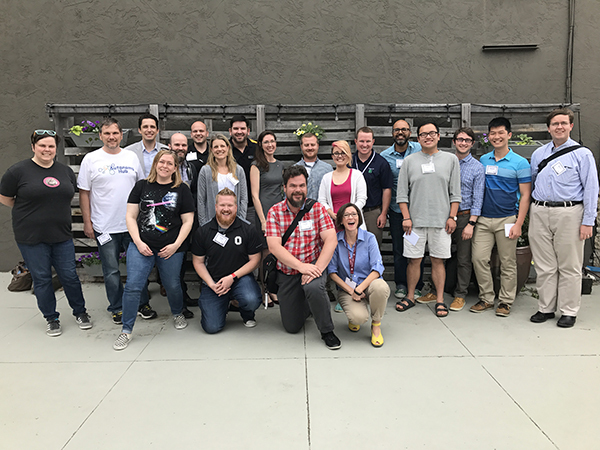 Teams created “Zen Statements,” or concise overviews of their ideas, and then pitched their ideas, concepts, and projects to a panel of judges at the end of the event, which included Extension administrators as well as influential community members. 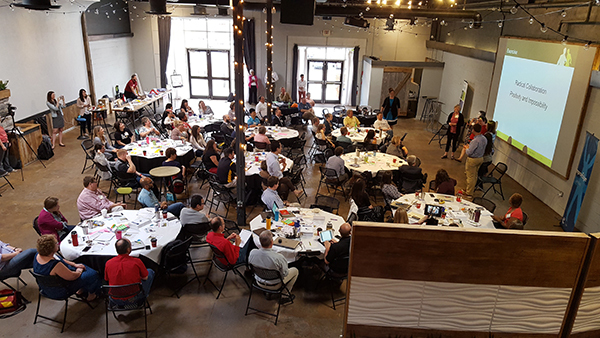 Zen Statement: A statewide network for Extension professionals that shares innovative leadership programs, resources, ideas, and energy to better reach the community and organizations we serve. Zen Statement: Creating and empowering school-based teams to foster Farm-to-School activities across the cafeteria, classroom, and community for the people who purchase, serve, and eat school food that overcome barriers to better school food and promote an appreciation for healthy food systems, enabling a greater voice among key customer groups through team-building and mentoring. 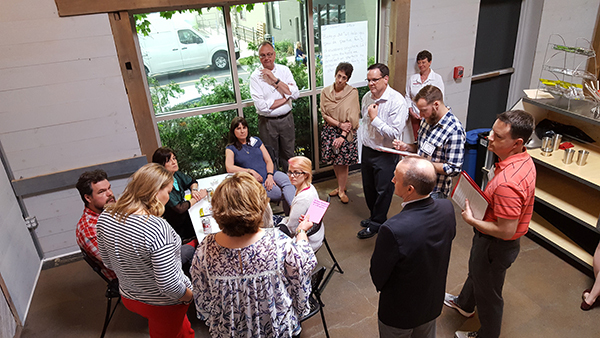 Unlike efforts focused on singular groups at a time, we build community capacity using evidence-based programs across an accessible state-side network. 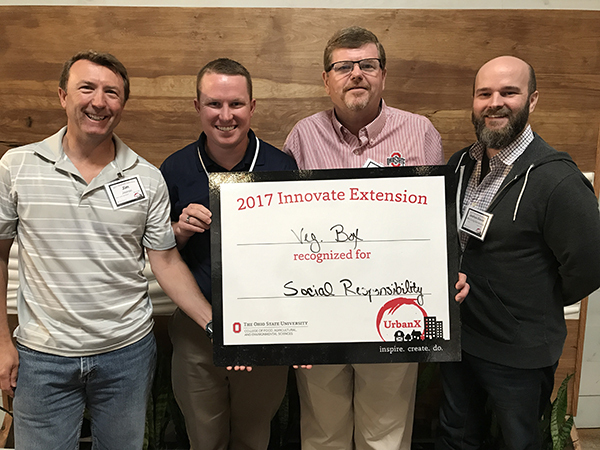 Zen Statement: Buckeye 365 will help you provide positive family discussions anywhere. We’ll give you the tools and conversation starters to encourage your family to start talking. 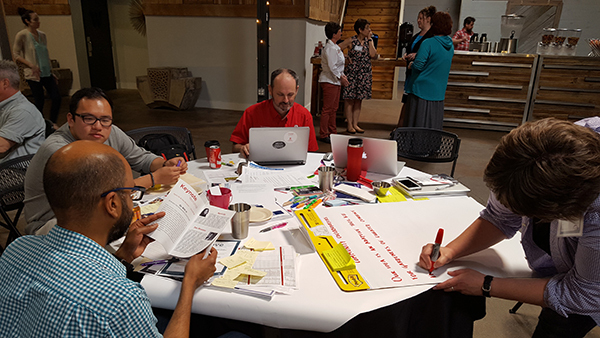 Zen Statement: An Extension research toolkit for Educators and consumers that offers non-biased information in a thrilling and engaging style enabling a better understanding and utilization in on-farm research. 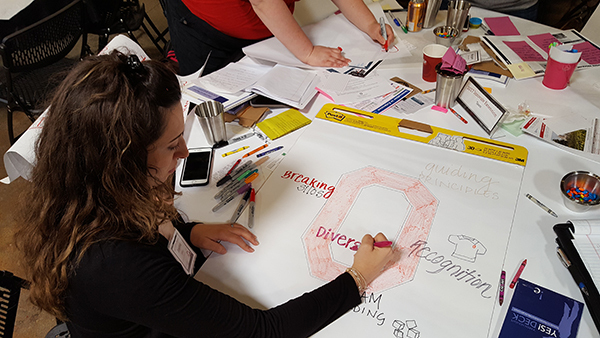 Zen Statement: A league of ambassadors for OSU Extension that advocate and connect, collaboratively identifying the solutions of tomorrow for emerging challenges and opportunities of today replacing current Extension Advisory Committees. 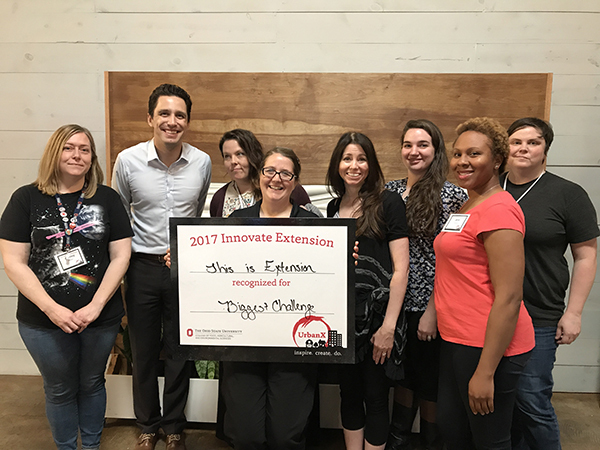 Zen Statement: A virtual front door for all Ohioans that will provide simplified access to Extension services and new ways to engage and connect. Zen Statement: Ready-made, customizable garden kit delivered to your door, connecting you to gardening and growing food. 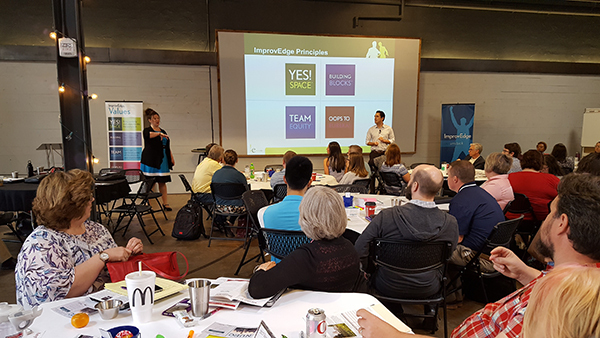 Keynote speakers, April Olt and Dan Montour from ImprovEdge in Columbus, kickstarted the day with an enthusiastic workshop. 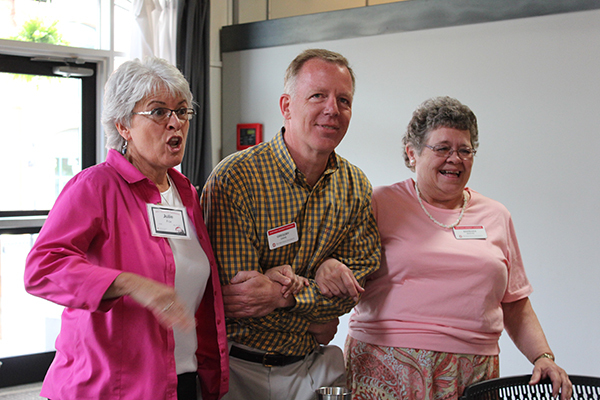 The Three-Headed Expert, an ImprovEdge activity, was a fun way to get participants to say “YES!” to new ideas. 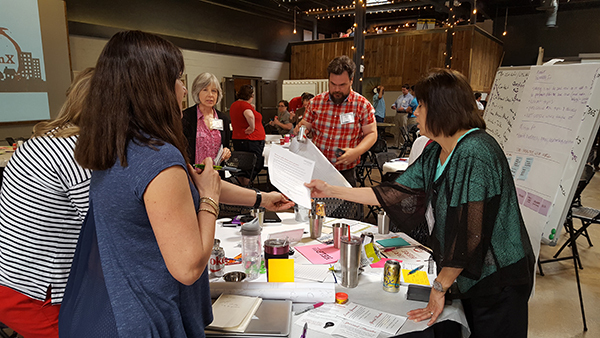 After an invigorating keynote workshop, teams starting working on their ideas. 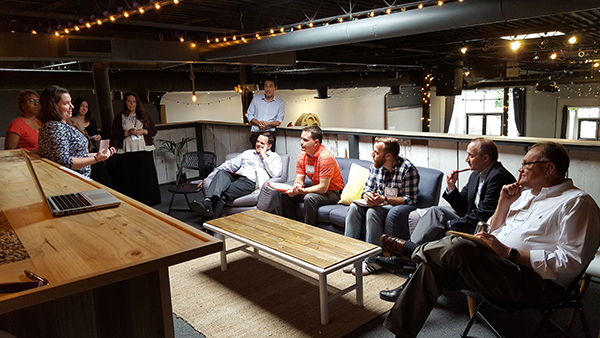 After hours of hard work, each team had the opportunity to present their ideas to a panel of judges. 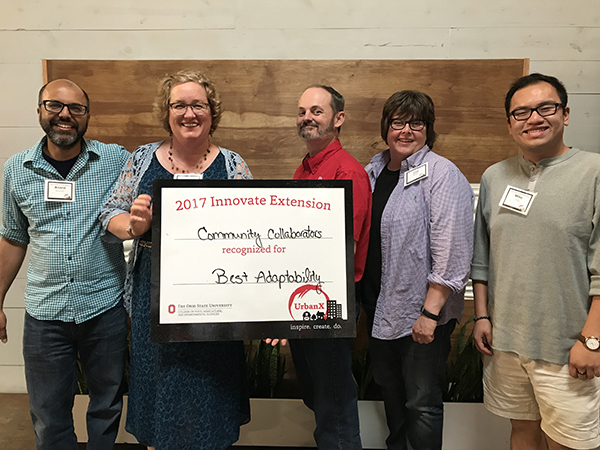 At the end of the day, OSU Extension Director, Roger Rennekamp also announced that the panel of judges awarded all nine teams with the opportunity to move their idea forward through Adobe Kickbox. 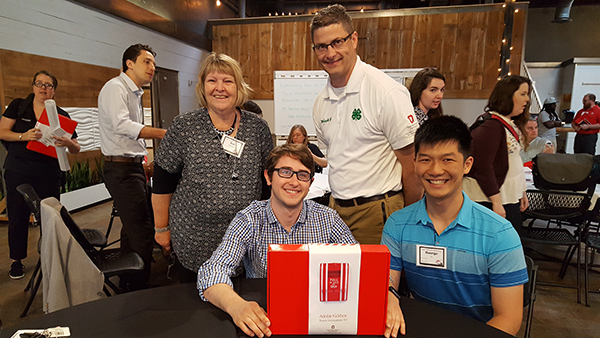 Kickbox is an innovator program in a box. 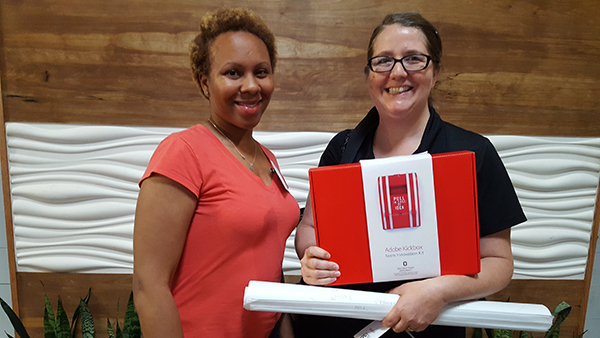 Adobe developed Kickbox by drawing on 30 years of industry experience in successful innovation. 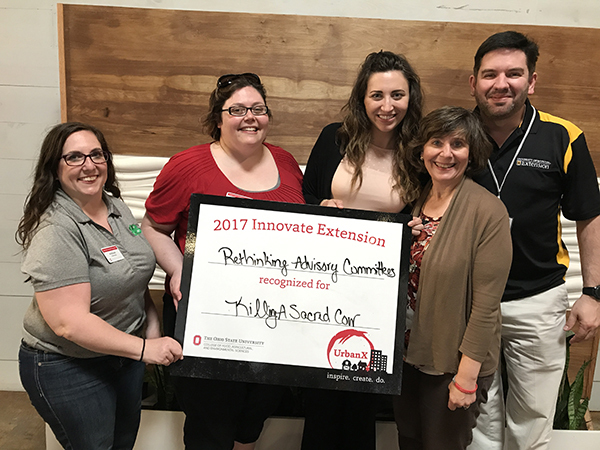 Teams will emerge from the Kickbox experience with a refined and validated project proposal to present to OSUE administrative cabinet in the Fall of 2017 for potential seed funding to pilot their projects. 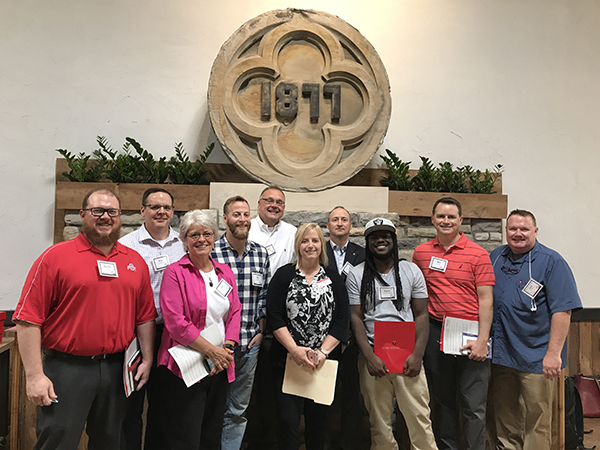 The OSU Extension Ed Tech Unit, along with Utah State University Extension Associate Professor and eXtension Innovation Lab Assistant Director Paul Hill, will serve as Kickbox mentors to guide teams through this exciting professional development experience over the next several weeks. Teams were excited to look inside their Kickbox! 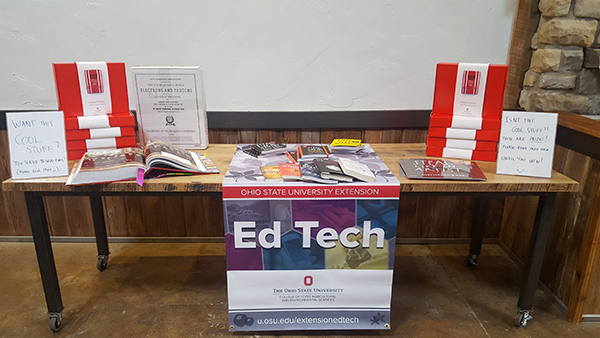 A peek at the amazing awards and door prizes that were handed out during the event. 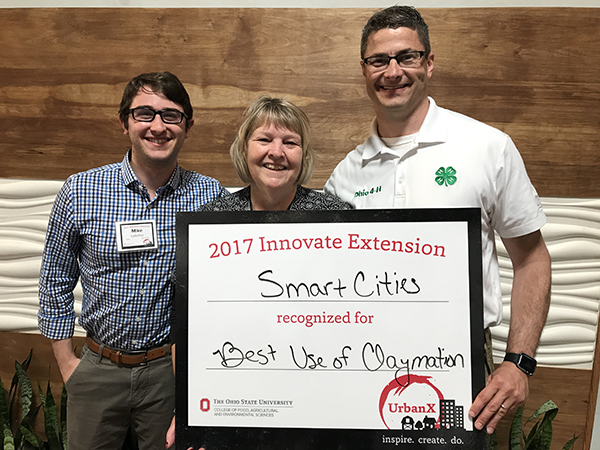 Thank you again for everyone who participated and helped make Innovate Extension: UrbanX a huge success! 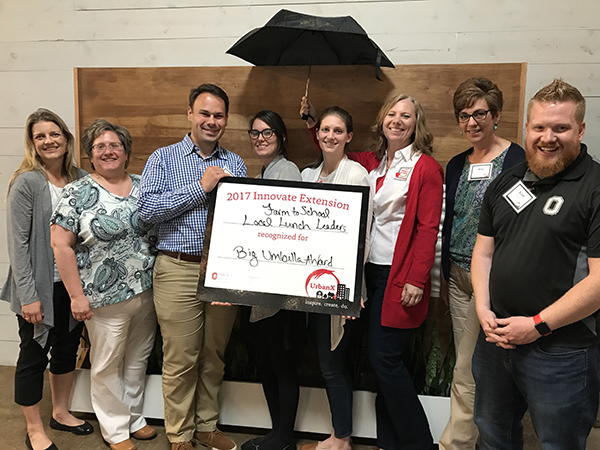 Posted by Danae Wolfe at 9:00am May 24, 2017 Posted in Ed Tech in Action, General Info and tagged Innovate. Bookmark the permalink.